In a surprise move, the State Board of Education voted Thursday to extend the search for a new Boise State University president, rather than name a new leader. The State Board’s agenda called for consideration of appointing a new president to succeed outgoing President Bob Kustra, who will retire June 30. Instead of making a new hire, members voted unanimously to begin the process of hiring a new search firm. 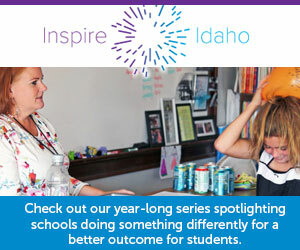 State Board President Linda Clark told Idaho Education News the board will name an interim president soon. Clark anticipates a new search committee will convene its work in the fall. Kustra has served as Boise State’s president since 2003, and presided over the university during a period of sustained enrollment growth. He led the university through more than $450 million in capital improvement projects and was at the helm as the university’s profile increased as its football team rose to national prominence on the strength of Fiesta Bowl victories in 2007, 2010 and 2014. State officials announced last month that 53 candidates applied for the position. A search committee narrowed the field to nine semifinalists. The committee further narrowed the field to five finalists and staged open forums for students, faculty and community members on campus late last month. James Lentini, senior vice president for academic affairs and provost, Oakland University, Rochester, Mich.
Kevin Reynolds, vice president for finance and administration, Portland State University, Portland, Ore.
Daniel Weeks, president and vice chancellor, University of Northern British Columbia, Prince George, B.C. Clark said the State Board will adhere to the state’s guidelines for developing a request for proposals for a new search committee. She also suggested the timing will allow the committee to finish its work “during the first part” of 2019. State Board members did not discuss or deliberate on their decision during Thursday’s brief open meeting on campus. However, Clark provided more details in a printed news release, distributed by State Board spokesman just seconds after the vote to extend the search.